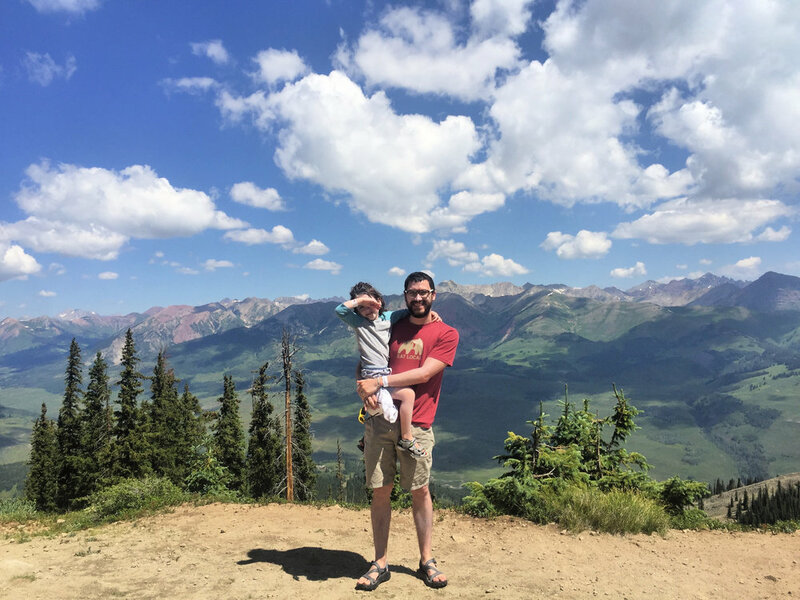 As a parent, sometimes I have to admit I live vicariously through my kids. Not in a negative way though - at least I hope not. What I mean is that I oftentimes get more pleasure out of their happiness than my own. 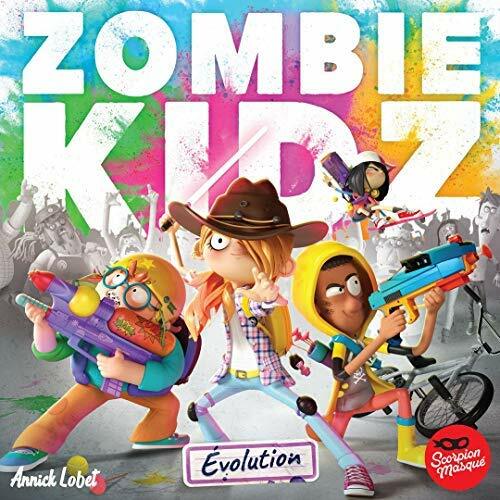 I was recently really excited about trying a new game that I saw - Zombie Kidz Evolution - and of course I hoped that I would love it when we finally got our hands on it. But it’s practically all for nought if the kids don’t love it too. The only thing better than me loving a game is the look on our kids’ faces when they love a game too. And, lucky for me, this was absolutely the case with Zombie Kidz Evolution. This amazing new board game was designed by Annick Lobet, illustrated by NIKAO, and published by Scorpion Masqué. And our son is absolutely head-over-heels in love with it. Allow me to set the stage for you. One night shortly before bedtime, I ask the little guy if he wants to try the new cooperative zombie board game we got. I already knew that he was infatuated with zombies after watching the infamous zombie bridge riddle approximately one million times. He said yes, and we gave it a try. Currently our children are 6 and 3 years old. And when we get out board games, cooperative games are still our favorite way to play. And it’s not only because it’s convenient to have our 3-year-old on the team making decisions together with all of us. It’s also because it’s simply really fun being a family team. I love sitting down with my son knowing that we’re teammates trying to figure things out and take down a new game together. For my character I picked the kid with the super soaker, and my son chose the kid on the bicycle with the toy crossbow. Our job was to lock the 4 doors to the school before all of the zombies found their way in. But we also have to make sure we take care of the zombies while we’re at it. Unfortunately, the zombie hoard broke in before we could get all of the doors locked, and we lost our first game. Then it was time for bed, but there was still more for us to do before we cleaned up. I showed my son how there is a page of stickers - brains and trophies - and how we’re supposed to use them to keep track of how many games you play. We peeled off a single brain sticker and stuck it on the first spot of the tracker. His mind was absolutely blown. He wanted to know more. Why do we keep track of that? And the more he heard, the more excited he got. After you play a certain number of times, there are envelopes to open. The contents of the envelopes are a mystery - but they do things like add new types of zombies and new super powers for your heroes. The trophy stickers are used for marking special achievements - tricky accomplishments like winning the game with five zombies in a single room. And in the very back is a passport where you get to put a picture of yourself and do things like keep track of the friends you play with. Our son’s imagination is very strong, and he’s prone to get super excited when he gets his hands on something awesome like this innovative game and its tracking system. Suffice it to say, by the time I woke up the next morning he had the passport completely filled out - complete with a picture of himself glued in the corner - and he had already played enough times with his mom to open the first two secret envelopes. Games like this are known as legacy games - games that evolve as you play them more - but this might be the first one ever made for kids. The closest we have ever seen is the bonus envelope included in Mole Rats in Space - another favorite cooperative game from Peaceable Kingdom. We weren’t allowed to open that envelope until we had beaten the game three times - and even that single envelope was enough to fire up our son’s imagination. Just imagine the joy that he was feeling when he saw that Zombie Kidz Evolution had a tracking system, an achievement system, and 13 secret envelopes! One interesting side effect of Zombie Kidz Evolution being a legacy game is that it means owning it is almost a necessity. There is an incredible amount of replay value built into the game, and we have hands down already played this game more times than any other family game - ever. But the tracking system, the envelopes , and watching the game grow are a very large portion of the fun. If you only played the game once at a friend’s house or at a convention, you’d be missing out on a lot of the magic. Zombie Kidz Evolution absolutely succeeded in igniting my son’s imagination - and for that I am thankful. That’s what playing games is all about. It’s always a very special moment in parenting when your kids find something that occupies their every waking moment and their dreams. I just hope Annick Lobet and Scorpion Masqué have more in store for us in the future. What’s your favorite game to play with your kids right now? Have your kids ever had a game they wanted to play multiple times a day? Have you ever played a game like this that evolved as you played more? Let us know in the comments!